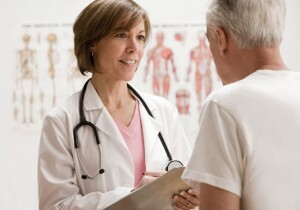 How Do You Become a Nurse Practitioner? If you’re aiming for advanced practice nursing positions to deliver specialty healthcare to patients across the lifespan, then you may wish to become a nurse practitioner. Nurse practitioners are high-level nurses who perform a number of medical services once provided only by physicians, including diagnosing medical conditions, creating treatment plans, interpreting test results, performing minor surgical procedures, and prescribing medication. Due to the rising demand for healthcare services and the lack of availability of physicians, the employment of nurse practitioners is expected to skyrocket by 2022 at the rapid rate of 31 percent, according to the Bureau of Labor Statistics. To get started in an in-demand career that allows you to help people live longer, healthier lives, follow the step-by-step guide below for becoming a nurse practitioner. licensed practical nurse, there are a number of programs nationwide that offer an accelerated pathway to the registered nurse credential. Graduates of appropriate nursing programs then must pass the standardized NCLEX-RN examination for their state licensure. Before you can apply to graduate school, you’ll need to possess at least a four-year bachelor’s degree from a regionally accredited institution. Most aspiring nurse practitioners decide to receive a Bachelor of Science in Nursing, but a limited number may also get their start with a major in public health, social work, psychology, health science, or biological science. Choose a program that will allow you to complete all prerequisite coursework in nursing, human anatomy, physiology, chemistry, health assessment, and statistics. In addition to the clinical component of your Bachelor of Science in Nursing degree, you obtain full-time nursing work experience after graduation too. Nurse practitioners must complete a Master of Science in Nursing (MSN) degree program from a nursing school accredited by the CCNE or ACEN. While the majority will require a bachelor’s degree, it’s becoming increasingly easier to find RN-to-MSN bridge programs too. Master of Science in Nursing programs provide a valuable opportunity for nurses to specialize their practice and start building real-world leadership experience in nursing. Most MSN programs will require the completion of at least 60 credit hours over two to three years of graduate study. If you’re continuing to work full-time, online MSN programs with distance learning can be very convenient. All states nationwide require that nurse practitioners be properly licensed and certified for independent practice without a physician’s constant supervision. You’ll need to graduate from an approved graduate-level profession, obtain a valid state registered nurse license, and pass a national certification exam to qualify. Nurse practitioners can pursue American Nurse Credentialing Center in various specialty areas, including acute care, adult health, gerontology, psychiatric mental health, pediatrics, school nursing, family health, community health, neonatal care, and more. Overall, nurse practitioners are APRNs who utilize their specialized graduate education to treat acute, episodic, and chronic medical conditions independently on the healthcare team. When you follow these steps to become a nurse practitioner, you could bring home an average annual salary over $95,070 and play a prominent role in promoting the health of patients in need.